In 2014, California suffered one of its worst droughts in a century, and lakes and reservoirs around the state were drying up. Thankfully, El Niño came along this winter, filling up some of those parched bodies of water at a rapid pace. According to hourly mappings by the state’s department of water resources (DWR), Lake Oroville has had its water levels rise by a stunning 17 feet in just 10 day, KRCR News reports. “This is excellent, this is what we need,” Kevin Wright of the DWR told KRCR. 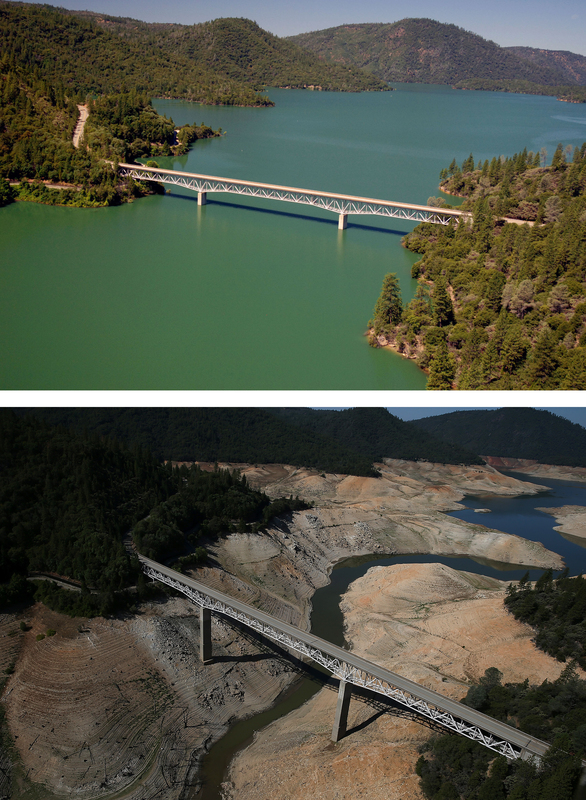 In August 2014, the drought had reduced Lake Oroville to carrying at just 32 percent of its capacity, according to NBC. El Niño brought rain to the region, but the lake has yet to fully recover. The lake has a reserve carrying capacity of 900 feet, which it usually returns to at the crest of its cycle. Oroville is currently filled at around 690 feet, which means it still has more than 200 feet to go. Wright hopes for several more big storms before the end of winter.